By leaving an investment to SFBBO, you become a member of The Cogswell Legacy Society, a group of extraordinary men and women from all walks of life who have created a gift for SFBBO. Members of the Society are people who have demonstrated their belief in the work and mission of SFBBO by including the organization in their estate plans; it is a deep and moving commitment. 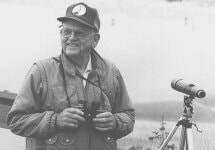 The Cogswell Legacy Society is named with the greatest respect for Dr. Howard Cogswell to honor his generosity to SFBBO and his conservation leadership in the Bay Area. ​You can join supporters who have made the thoughtful decision to support San Francisco Bay Bird Observatory (SFBBO) through their estate plans. Making these plans means that the avian research and monitoring that you have supported in your lifetime will endure for years to come. It means you have a choice as to how your assets will be used, well into the future. ​You can create a legacy by naming SFBBO as a beneficiary or contingent beneficiary of an IRA, 401(k) Keogh account, or other retirement plan. When a retirement account is left to a charity, the organization does not pay the income tax, otherwise due, if left to a friend or family member. For very high net worth individuals, assets in these accounts may also be subject to taxes. You can make such a gift by completing a change of beneficiary form. There should be no fees involved, and it does not require any work on the part of an accountant or attorney. ​Life insurance may be used to create a legacy by naming SFBBO as a beneficiary or contingent beneficiary of the policy. This requires that you complete a change of beneficiary form with the insurance company. You do not have to work with an attorney or accountant, nor are any fees involved to arrange such a gift. If you name SFBBO as a beneficiary, you can change your mind at any time by updating the change of beneficiary form. ​You may name SFBBO as successor to your bank or investment account in most states. The arrangement is known as Transfer-on-Death/Payable-on-Death or TOD/POD. This requires that you complete a form directly with your financial institution. You do not have to work with an attorney or accountant, nor are any fees involved to arrange such a gift. TOD/POD gifts are completely revocable. You can change your mind at any time by filling out a new form.